Is it me or have the holidays kind of snuck up on us this year? One minute it’s Labor Day and then next thing I know it’s two weeks till Thanksgiving (how does that happen?). Thanksgiving is, by far, my favorite holiday. 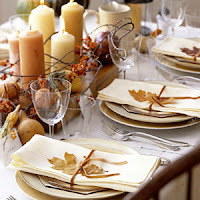 I love everything it represents—about being thankful for those around me and what’s in front of me. I like having a day set aside just to be thankful for the big things, the small things, and even all the not-so-good things that taught me something about myself, about others. Because it’s those lessons that help me to grow as a person. Older and wiser and all that. Growing up, my family always had traditional Thanksgiving dinners. Big table, lots of food, lots of family. Unlike other families (and movies), we never went around the table and said what we were especially thankful for, but as an adult, I always try to do this with my own family. And I want to do it with you, too. So, gather round our cyber table, and let’s officially kick off this holiday season. I’ll start, and I hope you all will add on. I’m thankful for my family, good friends, good health, and good books (am struggling to narrow this down to a couple of lines!). And on a slightly irreverent note, I’m also grateful for clothes straight from the dryer (ahhhhhhhhhhhh, warm). Your turn (and pass the pumpkin pie my way)! PS: And because I'm especially thankful for all of you, I'm going to have a giveaway with today's post. Want to read the next edition of the Lucy Valentine series? The unreleased, not due out in stores until February (three LONG months from now) Absolutely, Positively? Here's your chance. 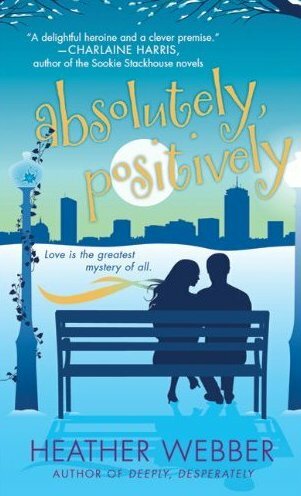 Leave a comment today and you'll be entered to win an autographed ARC (advanced reading copy) of Absolutely, Positively. Winner will be chosen randomly from the comment section at 10 pm (EST) tonight--so be sure to check back to see if you won. I am thankful for the good health of my family, the good jobs my husband and I have, the good school my daughter has to attend ... in reality, the overabundance of all that we have. OH! And that my husband got creative this year for my birthday and brought in a team to deep clean the house. *sigh* Best.Gift.Ever! I am thankful to have a husband who annoys me but loves me well, children who are happy & keep me exhausted, a roof over my head, even tho what's under the roof is in constant disarray. I am thankful for the little things that make me love my life so! I'm thankful that my cancer is in remission and I am on the road to health. My family (my kids) has been very patient with mom while she's spent the last three years fighting through various types of cancer. I'm thankful 2010 is almost over. I lost a fiancée this year and my mother. It's been an incredibly hard year but it's almost over. I'm so thankful for my friends, who are also my family. And even when I think no one's noticed, they do and that makes all the difference. And I'm thankful for good books that drop into my lap when I most need them, my online friends/community that give a place to share about them, and for all the authors/libraries/publishers etc that make it possible. I'm thankful for a loved one freed from pain, for my family - and the fact that some of us will be together on Thanksgiving, for the good health that lets me run even when I don't feel like doing it, for having had a job I enjoyed for the last 20 years, and for my pending retirement. Now... Me! Me! I want a copy! If I leave 50 comments, do I get more chances to win? I am so thankful for my family and friends. That everyone is healthy and has a safe warm place to live and money to live comfortably. Thankful for being able to read the books that I love <3. I am thankful for my life, for my Fiance and familY. I am thankful for my Bestest Friends and for Love. I am thankful that I can look out my window and see the many colors of fall. And I am thankful for the many journeys I have taken as I turn the pages of a wonderful book. I am thankful for my family , especially my husband who always stands by my side. And my children who bring a smile to my face everyday. I am thankful that we are all happy and healthy. I look forward to creating more memories with my family this Thanksgiving and Christmas. I love all these! I'm headed out the door for a writing retreat this weekend, but I'll be checking back later today--and choosing a winner tonight! I'm thankful that my husband who has underwent two kidney transplants is still here with me and our two kids. I am thankful for my amazing daughter, my loving husband, and a circle of good friends. I am thankful for my family, good friends, great books, a husband who takes care of our 3 boys and me. Thankful both my husband and I are in remission with our cancers. Thankful we could adopt our 3 wonderful boys. I am also thankful of our pets who are like our babies. I am thankful for all of my animals, the fact that I own my own home (and just refinanced), my friends, and my folks! I am thankful for my family and my amazing friends. And for a wonderful son and husband. I am thankful for great books, beautiful yarn to knit/crochet with, and my husband's wonderful job that takes such good care of us. I'm thankful for my husband not being hurt in the car accident he was involved in last night, that nothing more serious then whip blash. And of course of our three boy's, who are my world. I am thankful for another day. God has been so good to me. Even at times when I have made bad decisions, ignored His will in my life, or taken everything for granted around me; He has given me another new day to change my tune. I am thankful that my oldest is still cancer free over 3 years later. I am thankful for my hubby who came along when we needed someone and has never let us go. I am thankful for my youngest who brought new life into our home. I am thankful for my mama, who is my best friend and my inspiration. But even more so, I am thankful for my daddy... that he and I have found peace after so many years. Life is short. We need all the love we can get. Everything else is fleeting, but the love of God and our families is FOREVER! I'm thankful for many blessings, but this year I'm thankful that my husband will be spending Thanksgiving with us and is not deployed. He gets to be here with us for Christmas, too. I'm thankful that I'm surrounded by supportive people every day of my life. Whenever there's a crappy day or event in my life there are people there to get me through it! I'm thankful for our new kitten who is full of unbounded energy and absolutely delightful. I'm thankful for my first grandchild (due next week), a wonderful, loving husband, and having time to write. Last night I tried a new recipe--apples baked in rhubarb wine...so, please pass the baked apples. I'm thankful for my parents, husband, family and friends. I am grateful for all the supportive and kind souls that have given me inspiration, encouragement and a hand to hold in times of need. I'm also thankful for those difficult people in my life that serve as a constant reminder to treat people with kindness and compassion. I'm thankful for good books, coffee, chocolate and Little Debbie snack cakes, too! Ahhh, love those Little Debbie snack cakes. I'm thankful for my beyond fabulous DH - aka Sweet Man! I'm thankful for all the amazing nieces and nephews who fill our lives with unbelievable, new and exciting "stuff". I'm thankful for all the wonderful new writing friends I've made this year - a huge shout-out to all my fellow Naked Hero Goddessess plus all you super-terrific Cozy Chicks too!!! I'm thankful to have finally made it to the status of "published author" this year. I'm thankful for my parents - who've always loved me no matter what. But most of all I'm thankful that thanks to my Sweet Man DH, who I mentioned first above, I no longer just write HEA, I now live a most wonderful HEA too!!! Now, I truly get the "love" we all write about...oh, and I got the Cozy Mystery element too 'cause he's also one, beyond great Cop (a 27-year veteran on our Sheriff's Dept & now the Jail Commander too)!!! Thanks for a great post, Heather!!! I am so thankful for a happy and healthy family! I love Thanksgsiving, it was always a special holiday with our family, with my grandmother and her sister always vying to see who had made the best dishes! I realize now how lucky I was to have some of those extended, older relatives around i my youth! And yes, I can't believe it's already Nov 12! Fall is flying by. My father in law is not a big fan of turkey. My partner was born on Thanksgiving in 1952. He spent the day going from house to house shouting the news that he had a daughter. Everywhere he went they said, oh the poor man, his wife is in the hospital and he won't get fed. I think the story is up to 5 turkey dinners that day, including his parents' house when he finally got there. T-day is my partner's favorite holiday. But guess who gets to do all the cooking? Yep ME. She is the schmoozer and socializer and I just make sure there's enough to eat. LOL Then it's off to my hidey hole where my friends can stop in to get away from the crowds. I'm thankful for the love and support of family, my adorable husband in particular. I'm thankful for seeing the big picture (for perspective). I'm thankful for life, liberty, and the pursuit of happiness. I'm thankful for good memories kept safe in a healthy mind. I'm thankful for good friends, their humor, their passion, their pathos. I'm thankful for good books, thoughtful writers, and food, exercise, and fun. I'm thankful for my sweet pets and the love they have brought me over the years. Oh, yes, and I love warm clothes fresh from the dryer, too. I am thankful for family and friends and I am especially thankful for a roof over our head and food for our tummies when so many are having to go without. I'm thankful that my wonderful husband is still with me despite disease, and for the great memories of our life together. I'm thankful for the many blogging friends I've made. Of course I'm thankful for books to enjoy, and for my lovely home in the country. Life is good. I am thankful for my wonderful husband who puts up with me, my mother who is always there for me and my daughter who always makes me smile! I am so thankful for my wonderful husband who is so supportive of all my creative endeavors. I am thankful for our three creative children, their spouses, and an incredible grand-daughter. I am thankful for good books, my studio, time for quilting and creating art, and for the challenges that help me grow. Mostly, I am thankful for God in my life. We don't celebrate anything like Thanksgiving here in Holland, but I wish you all a very happy day. I am grateful for the loving boyfriend I "found" this year, the authors who keep writing those great books so I can read them (you have to feed the addiction every day after all). Of course I am also grateful for my health and my job and my friends. My husband and kids are number one. I'm thankful beyond measure for them, their health, and happiness. My parents. My amazingly supportive friends. My crit group. My BFFs. My blogging partners. (some of these people fall into multiple categories!). I am thankful for many things, but the thing I am most thankful for is, My son's father. He was man enough to stick around when i got pregnant 3 months into our relationship and its 6 years later and were perfect for it other. He is a true blessing. I'm thankful for my family and being able to enjoy life in general. I love the Fall, with the crisp weather and beautiful rich colors of orange and red. And of course the anticipation of the smells of turkey cooking early Thanksgiving morning. I just wished that retailers weren't rushing the seasons so quickly - Thanksgiving no longer exists...we go from Halloween to Christmas! I am thankful for my family and incredible friends who have stayed by me even when stress made me a tad witchy. I'm thankful for my kitties, who - like children - frustrate me beyond belief, but also give me unconditional love when I need it. I'm thankful for being able to volunteer at the local animal shelter and make life a little easier for those sweet babies biding their time there, praying for a home and people to love. I'm thankful for being able to retire and have to luxury to read and relax for a change. And I'm thankful to you, Heather, for the wonderful characters you share with us so that we can escape our reality when things pop up that are a little harder to be thankful for. Oops. Forgot to mention a great big I'M THANKFUL for FACEBOOK, where I have been able to reconnect with friends and family that I haven't seen or heard from for many, many years, and for all the new friends that I have made through FB. What a great time we live in! I'm thankful for my health, my family and mostly for all my author friends who write such amazing books. Books that allow me to escape some where fantastic. Happy Thanksgiving Heather! In honor of November and Thanksgiving (which is also my very favorite holiday) I have been posting a new thing I am thankful for everyday on my facebook status - I encourage everyone to do the same. It is nice to think of my many blessings and for others to see too! I am thankful for my husband and all his hard work and our new house that we have, it is hard work but well worth it. I'm also thankful for my family and friends and all the amazing books out there to read. I love your post Heather, what a great idea! I am thankful for my health, my family, my job, a roof over my head, and authors who keep wrting such wonderful stories to help me escape reality even if for only a brief momemnt each day! I have many, many things to be greatful for especially this year but those are just a few. Now, someone please pass me the mashed potatoes! Happy Thanksgiving to you all! I am thankful my daughter wasn't hurt when her car was totalled (she was hit by a guy that ran a red light). I was thankful to be able to hug her. I am also thankful for fun cozies to read. I'm thankful for my little girls, my job, my husband, family, friends, for our home! Everything! Thanks for sharing with us today! I'm thanking for every morning that I wake up. I'm also thankful for my family, my friends and what tomorrow may bring. I am thankful for so very much, and right now I'm thankful there are those who value the contribution I make to life. I'm thankful too for those who love to write, providing us a way to explore life, enjoy life, and puzzle our ways throgh mysteries. Thank you to all the Cozy Chicks for enriching my life. On a less serious note... I'm thankful that I got other people in my office as addicted to Lucy as I am. Now I have others to share these great stories with-- and others to share the agony of waiting for the next book with- thanks Heather. I am thankful for the office mate that has me addicted to these books! Also for my life in general. Could not be better! I am thankful for my wonderful and understanding husband as well as our great children. I am greatful I have a good job with people I enjoy spending 40 hours a week. I am thankful for the opportunity to read everyone's blessings today. I am thankful for the life God has gifted me with and all the people who are a part of it. My husband who works hard each and every day, my 2 children who continue to amaze me with their sense of service and their selflessness...for my friends near and far...for the riches of books and the chance to "meet" the authors. I thank God for all these blessings and more.. I am thankful for my DH, my mother and sisters, and many internet friends. I am thankful for my eyesight so I can read every day. 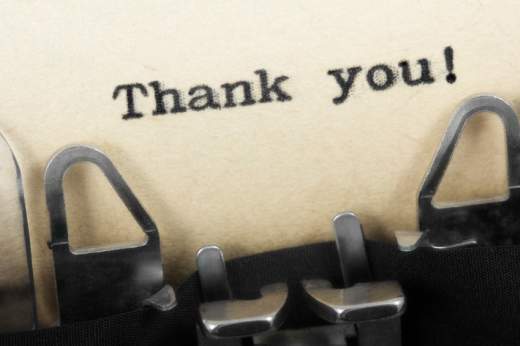 And I am thankful of those who write every day. It is easier to say, I am not thankful for bigotry or disrespect, intolerance and disloyalty, than it is to list the manythings and ocassions in my life I am truly thankful for. I have been blessed, with friends, family and 'enough' as God sees to provide. I'm thankful that I found a new job! And that I havea really cute nephew and a sweet little niece! I'm Thankful to have the time to spend with family and, of course, for all the wonderful food! I am thankful for my family and for their continued good health. It's been a rough year, but we are all still here. I'm thankful for my family, my writing group, and the world at large! This year I am thankful for having a great family, I'm thankful that I was able to spend quality time with my best freind before her death. I'm thankful that my husband has a good job and that we are able to spend time with family and freinds. I'm also thankful for Facebook allowing me to get to know my favorite authors. I am thankful for good jobs for me and hubby, and for the time we spend together. I'm thankful for a house that I can come home to when I'm tired at the end of the day! I'm thankful for good authors to create books for me to read! I am thankful my mom is recovering well from her accident, that my brother is living close to her and giving her support in her time of need. I'm thankful my sister and brother-in-law are in good health and good spirits. I'm thankful for my wonderful cat, Julia, who greets me at the door and shows me love. I'm also thankful for the Lucy Valentine series. It's a joy to read and so well-written. It's a world I enjoy going to! I hope it's going to be a long, long series. I'm thankful for my very excellent relationship with my family. This last year especially I've realized how unusual a good relationship with one's family can be. I'm thankful for my sweet husband, my adorable lap-warming cats, my job, my knitting which keeps me sane. This year I've become thankful for my Kindle which has rekindled my love of reading! I am thankful for my family and my faith. I'm especially thankful that my husband found a job after being unemployed for two years. Very thankful indeed. I am thankful for my hillbilly soulmate husband, my daughter Lady K, the ability to have a roof over our craniums, food on the table, DH's understanding that I must be surrounded by many books and that I need some alone time to go to the foo-foo coffeeshop and get in a little sip'n'read time. I am thankful for my new church family, for without them, I would be lost! I can't wait to read Absolutely, Positively! Please enter me in the giveaway!! I'm thankful for my husband, my family, my faith. We have been blessed with two good jobs and good health. I'm also thankful that I have time and ability to read as much as I do. And I'm also thankful for our 4 month old kitten who has brought so much joy to our lives after losing all of our other cats over the last couple of years. To Andrea C.- I like your suggestion of posting daily something you are thankful for- I think I'll do it on facebook. Thanks. Thank you all so much! These entries were all so wonderful--I loved reading each and every one of them. The winner chosen randomly is Johanna J! Congratulations! Please email me at heather@heatherwebber.com with your snail mail address, and I'll get your book out to you! I'm thankful for my good health, friends and family who love me & I who I love! I have a wonderful husband who is my greatest fan & supports everything I do. I'm truly blessed. Now if I could only crochet and read at the same time?! :) Have a wonderful Holiday everyone.